Nestled in historic downtown McMinnville is a gallery that features Oregon artists, run by Oregon artists. Currents Gallery is owned by eight local artists who know how to keep the content fresh with pieces that range from paintings to sculptures and everything in between. The unique aspect of the gallery is that when you walk in, you will find one of the eight partners, or three associate partners, working at the front desk. They enjoy telling visitors about the different pieces of art, and directing you to things you might have missed seeing. The artist, Andy Charles, was manning the desk that day. We had a nice talk about his travels and how his travels inspire his art. That is the magic of Currents Gallery, the stories. When you buy a piece of art, it is important that you like the aesthetics of it, but knowing the story behind it – where the inspiration came from, why certain materials or colors were used and the like – is what makes the art meaningful. At Currents the art you admire might have been created by the person behind the desk. The main display area is approximately 1,000 square feet, filled with many different types of media, including, watercolors, oils, clay sculptures, fiber, collages, whimsical clocks, musical instruments, jewelry, and more. They have items that will satisfy many tastes. “Whether you want to come in and just look and chat, or purchase a piece, or take a class, we are here to celebrate our local talent. I think that’s why we have been so successful for so long,” said Perse. 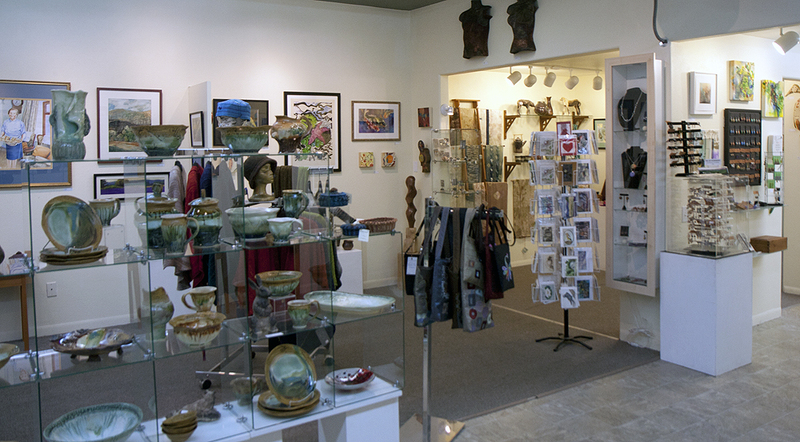 About Currents Gallery: We are an artist-owned gallery in Yamhill County, the heart of Willamette Valley wine country. …. We obtain new work continually, and each month feature a show highlighting an artist or special genre (like our popular recycle show). The opening reception for each of these shows is on the 3rd Saturday of the month, during McMinnville’s Art and Wine Walk. Tip: The gallery has many nooks and crannies. Make sure you take the time to see it all. Plus, ask to see what’s in the back storage room when you visit. Season: The gallery is open 7 days a week, year-round. Getting there: The address is 532 NE Third Street, McMinnville, Oregon, located in the heart of downtown McMinnville.